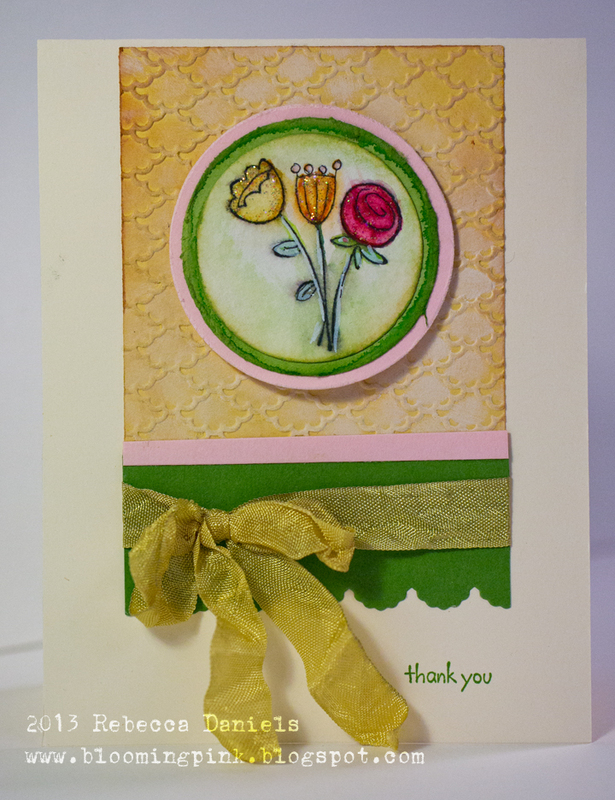 The texture and colors of this card are fabulous. Thanks so much for sharing it with us. Such a beautiful card! Love the colors and those flowers are so pretty! Always lovely Rebecca!! Thanks for sharing and inspiring! Happy Friday.